Daniel Weiner doesn’t just have one degree from the University of Kentucky but three—the last of which is a Ph.D. in statistics. From UK, Weiner transitioned into a career within the pharmacometrics field where he is now a Senior Vice President at the Certara Corporation offering scientific software and consulting services to the pharmaceutical industry. Over the years, Weiner has helped create some of the most highly used software in the pharmaceutical world and has co-written a definitive textbook in the field that’s about to enter its fifth edition. In this podcast, Weiner discusses the career that flowed from his time at UK and gives some advice to students trying to find their way today. The Department of Mathematics is excited to welcome professor Bert Guillou to its faculty! Professor Guillou joins us this fall researching topology, the mathematical study of surfaces. 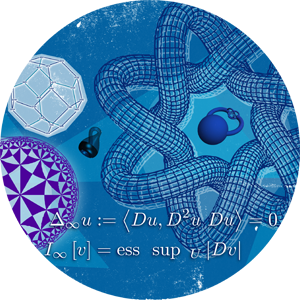 He is interested in homotopy theory, the study of "transforming" one surface or shape into another, a field with applications in quantum physics, robotics, and even molecular biology. Fast Track for Calculus is a residential academic preparation program for highly qualified students. Fast Track to Calculus is designed to prepare students for rigorous undergraduate mathematics classes. In this podcast, Dean of Arts & Sciences Mark Kornbluh and Mathematics Director of Undergraduate Studies David Royster discuss the goals of the program and how it will work.